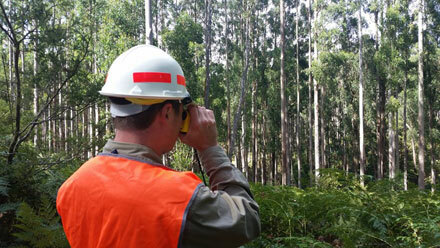 VicForests will resubmit for certification of FSC Controlled Wood standard by 2020. VicForests has been separately certified since 2007 under the Responsible Wood certification (the Australian Forestry Standard) which is endorsed by the international Program for the Endorsement of Forest Certification (PEFC) – the largest such system in the world covering around 240 million hectares of forest across 30 countries and equating to around two-thirds of the world’s total certified forest area. The FSC Controlled Wood audit found VicForests conformed with 15 of 23 key indicators with three minor non-conformities, largely of an administrative nature; and four major non-conformities and one indicator deemed inapplicable. In response to the report, VicForests’ roadmap commits to improve operations and engagement and ensure the best position to achieve FSC Controlled Wood standard. Chief Executive Officer, Nathan Trushell, said VicForests accepts there is more work needed and that it would redouble efforts to address outstanding issues raised in the audit. Over eight years VicForests has harvested more than 2500 coupes with a breach rate of 1%, a majority of which were self-reported. The audit raised encroachments on rainforest, of which there has been one substantiated breach. VicForests will strive for zero. “We have come a long way. This year, the State Government and VicForests announced a new policy to ensure trees over 2.5 metres in diameter are automatically preserved and protected. “The State Government has also announced extended areas of the Kuark Forest, including Old growth, will be protected. “We are protecting habitat for threatened species including the Greater Glider and Leadbeater’s Possum, and we work with leading scientists to conduct much-needed research into these animals to better understand their habitat requirements. “Accidental encroachments are also a concern for us. While the FSC audit says the incidence is not high, VicForests aims to achieve zero encroachments outside authorised boundaries. We will examine how new technologies may help us do better. Mr Trushell said VicForests was now within striking distance of adding FSC Controlled Wood to its Responsible Wood certification. “That is our goal by 2020 and I’m confident that can be achieved,” he said.